It's healthy if it's homemade, right? Whether it be a last resort when we’re too lazy to cook or an alternative to the dining halls or late night munchies – we love pizza. In fact, pizza is the most popular delivery food among college students in the US according to Grubhub’s data on college delivery trends. Though it is clouded by the stigma of being food for the lazy and unhealthy, I am here to tell you that there is a healthy and easy way of making delicious homemade pizza. 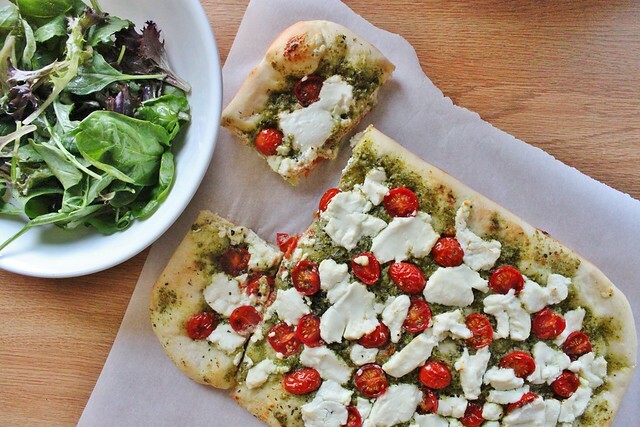 All the ingredients in this recipe have been bought pre-made from the store but feel free to make your own pesto or pizza dough if you have more time on your hands! 1. Preheat your oven to 500°F. 2. 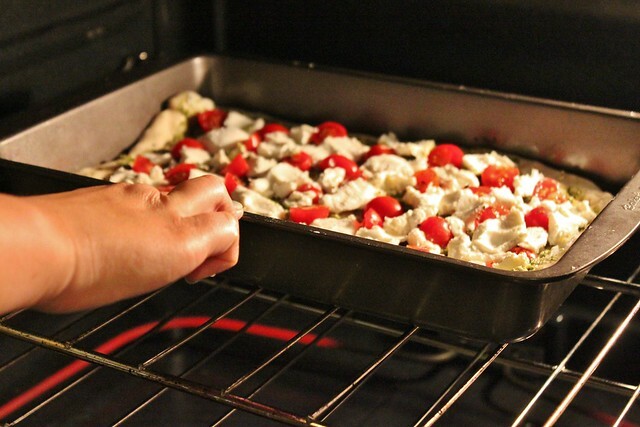 Oil your baking sheet/pan and stretch your pizza dough out to the edges. 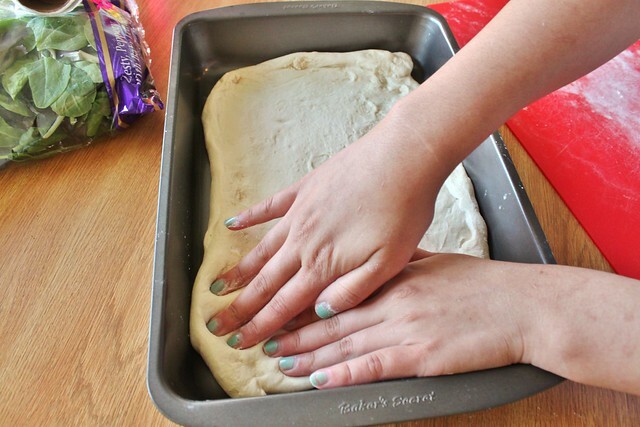 Use flour so that the dough doesn’t get too sticky and, if needed, a rolling pin as well. 3. 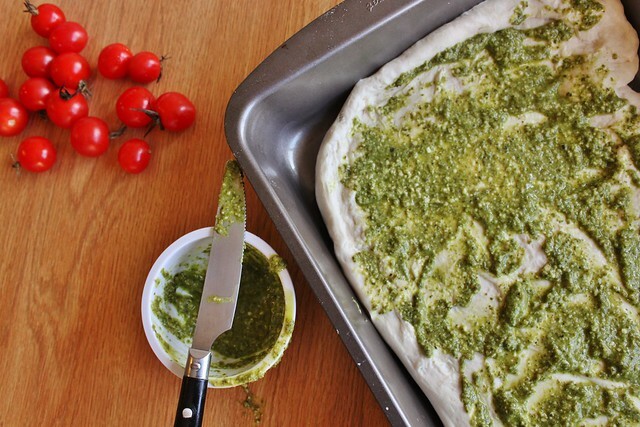 Spread pesto evenly on pizza dough and add garlic powder and dried basil leaves to the layer. 4. 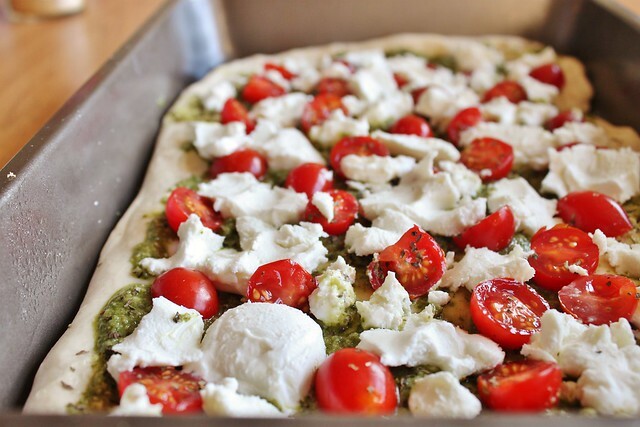 Spread layer of cherry tomatoes and crumbled goat cheese on top of the pesto layer. 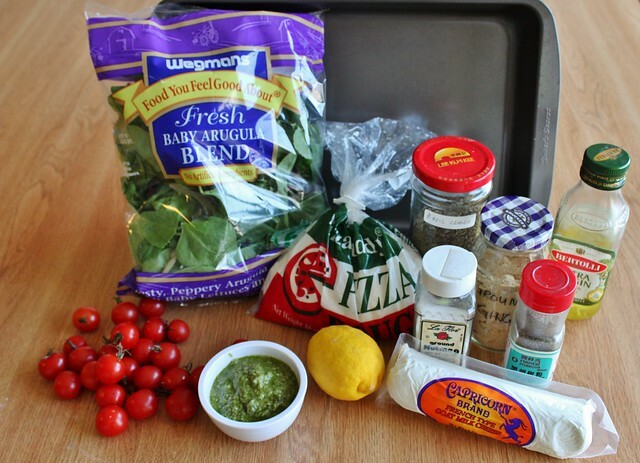 You can add more ingredients to your pizza filling – chicken, bacon, prosciutto, etc. 5. Bake in oven for 10-12 minutes until golden brown. 6. Take out pizza and let cool for 2-3 minutes. Meanwhile, mix arugula, olive oil and lemon juice in a separate bowl. 7. Top with arugula and enjoy! Looking for other easy pizza recipes? 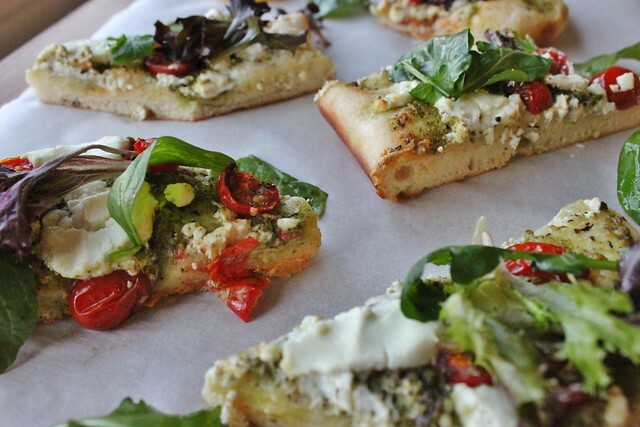 Try this mediterranean pita pizza!